If you judge Hollywood by celebrity names, you’d think Jews never made the cut (there’s a bris joke in there somewhere.) For some reason, most of the Jewish sounding Hollywood names belong to gentiles who changed their names to fit in. The gentile-named celebrities are often Jews trying to fit in with the gentiles trying to fit in with the Jews. OY! 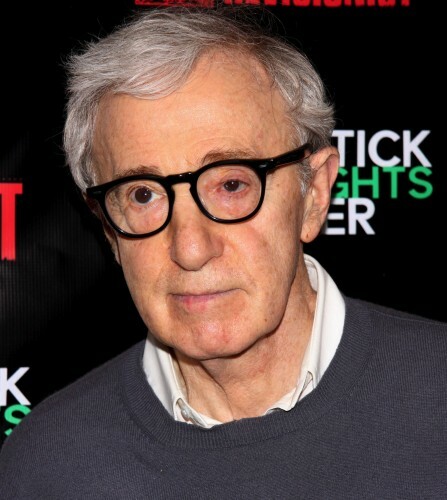 Famed director Woody Allen has become a household name due to such smash hits as “Annie Hall” or more recently, “Blue Jasmine.” Brooklynite Allen, born Konigsberg, has a strong Jewish connection too, as both his parents were second-generation Jewish immigrants. 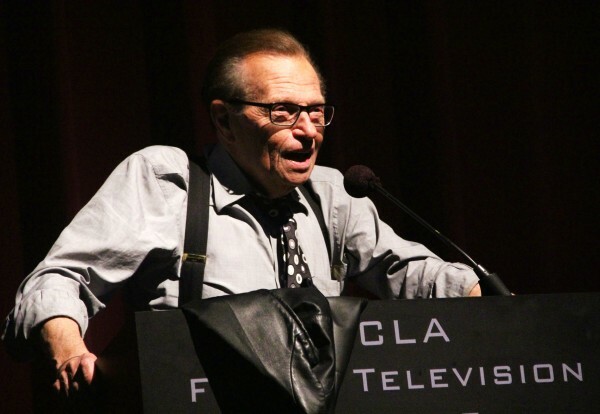 The longtime late-night talk show host is also a Brooklyn native, like his fellow funnyman Woody Allen. King was born in 1933 to Orthodox Jews who had emigrated from Russia. 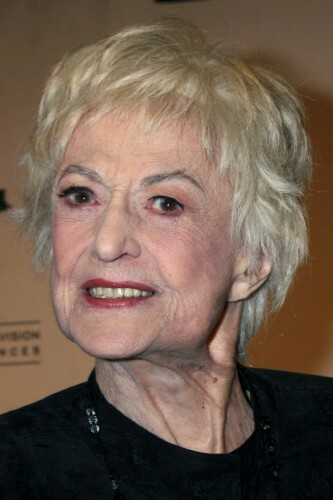 Everyone’s favorite “Golden Girl” was born in New York in May of 1926, the second of three daughters of Jewish parents. As a Jewish child growing up Cambridge, Maryland, Frankel faced anti-Semitism from her peers, according the Jewish Women’s Archive. Famous for her portrayals of everyone from Anakin Skywalker’s love interest in the “Star Wars” prequels to the neurotic, talented and ultimately doomed prima ballerina in the “Black Swan,”Portman goes by her grandmother’s maiden name. Born in Jerusalem in 1981, Portman is arguably one of the most recognizable Jewish actresses today, something that is both a blessing and a curse. “Like, every Jewish role comes to me,” the actress told Marie-Claire magazine in November. The world-famous magician and escape artist was born in 1874, in Budapest, Hungary, although for years he would claim he was born in Wisconsin, where his family later moved. 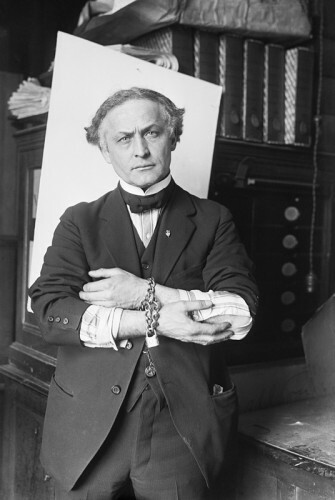 Houdini was one of seven brothers and sisters, and his father was a Jewish rabbi. 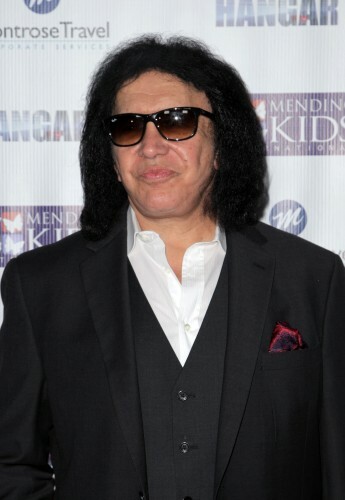 Although he would later found classic 1970s rocker group KISS, Simmons was actually born in 1949 in Haifa, Israel. For most of his childhood, Simmons was raised by his single mother, Flora, a Hungarian Jew and Holocaust survivor whose family perished in Nazi concentration camps. Simmons and his mother eventually moved to New York City, where he learned English and began to become interested in the music scene. We’ve all seen them. Gentiles trying real hard to wear a Yarmulka that doesn’t stand out too much. Some wear it better than others. 1. Thanksgivukkah celebrates the victory of the few Maccabean forces over the native Indians, who were many, and the miracle of the peace pipe that they smoked for eight days. Therefore, Thanksgivukkah is an auspicious time to eat donuts with pumpkin filling, spin the football, and light eight turkeys on fire. 2. The Midrash relates that when the angels for thanksgiving and Hanukkah found out they were going to fall out on the same day of the calendar, they each complained to G-d. “That Yutz, he couldn’t celebrate the harvest BEFORE the ground went and froze solid?” Kvetched the Hanukkah angel. “You greasy Latke,” responded the angel of thanksgiving. “You have seven other crazy nights to celebrate. Why don’t you move back to December where you came from?” Unable to handle their bickering, G-d threw one angel into the Hebrew calendar and roundhouse kicked the other into the Gregorian, where they would be destined to meet once every 70,000 years. Therefore, one should commemorate the holiday by inviting their large extended family over for a long night of bickering and kvetching. 3. One should be careful to purchase all their Thanksgivukkah items with chocolate coins. If one mistakenly used actual money, he is obligated to place the value of the money spent on the host team of the local turkey bowl in a bet at a community casino. 4. One is obligated to purchase a large adult male turkey for every four adults seated at the Thanksgivukkah festive meal. A group of women are required to eat a female turkey. Groups of pregnant women such as a Lamaze class or birthing center roommates are required to eat one male and one female turkey for each child in their uterus. One who buys their turkey on sale is praised. 5. It is prohibited to schmear the turkey with any substances other than pure virgin olive oil. However, some opinions hold that it is permitted to combine the oil with alcohol to fulfill the commandment of eating a festive meal. As long as the Turkey is full of Greece, the Mitzvah Israel. The commandment of eating turkey is fulfilled upon consumption of an olive’s worth (Kezayis) of oil that has been marinated in the meat. 6. Some pious Jews like to combine their turkey together with chicken and duck to create a dish called “turducken,” but most authorities frown upon this tradition as it is not in the spirit of Thanksgivukkah. However, one may combine turkey with Kneidels (“traidels”) or turkey and bananas (“turbans”). 7. A turkey that is made out of clay may not be eaten at the festive Thanksgivukkah meal even though it is dry and ready. However, some authorities permit such a turkey to be used to play a round of tackle football with the winner collecting the pile of money or chocolate coins set in the middle of the field. One may stuff their turkey with jelly, custard, or anything fried in olive oil. For the laws regarding one who forgot to stuff their turkey, see the Halachot of Passoluther King Day (chapter 613). 8. The Hanukkah Menorah should be lit before the eating of the turkey, according to the school of Hillel. However, the school of Shammai holds that the turkey should be eaten first. It is for this reason that one is required to light the Menorah at the EXACT SAME MOMENT as one cuts into the turkey. One who lights the Menorah on top of their turkey is praised. Similarly, one who places eight turkeys on spits at the top of a giant Menorah is guaranteed a portion (of heavenly turkey) in the world to come. 9. Before eating of the turkey one is required to say the grace after meals, making sure to have in mind the mashed potatoes with gravy, potato Latkes and applesauce, pumpkin pie, and jelly donuts. Everyone around the table may hold hands while reciting the blessing, unless there is an unmarried woman present. 10. It is preferable for the turkey to be stuffed by a proctologist and carved by a certified Mohel. The knife must be sharp enough to draw blood if placed on the belly of an infant. Rabbi Yehoshua Ben Laden would use a pair of toenail clippers to carve his turkey in order to fulfil the verse which states “a little at a time.” If no one knows how to carve the turkey, one may hint to a Thanksgivukkah Goy and he is permitted to cut it for you, provided he cuts a slice for himself. Every community has their own traditions when it comes to the holiday of Thanksgivukkah. 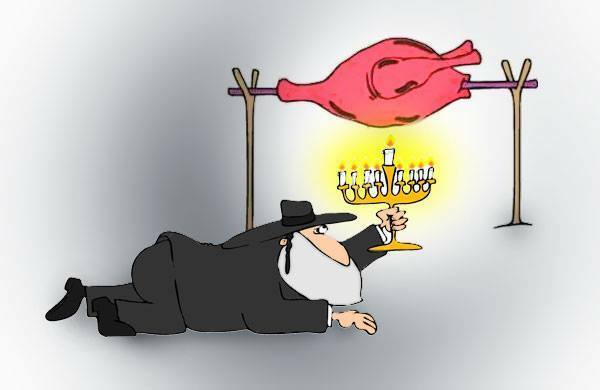 – Canadian Jews cover the turkey while the Menorah is lit so as not to hurt the feelings of the candles. – The Jews of Virginia have a tradition to eat the turkey next to a pile of Dreidels as a sign of the Maccabean victory. – Jews in New York City hold a massive parade every Thanksgivukkah full of giant balloons representing their various communities. They do not drink more than a olive’s worth at a time. – Quebec Jews eat tiny stuffed ducklings and light Menorahs in their basements so as not to appear ostentatious. – Iranian Jews stuff their turkeys with enriched plutonium, and then hide it from all their guests. Rabbis from around the world gathered in New York for an annual convention. Don’t let their shtetle-look fool you, some of these Rabbis can tweet! Here are some of our favorites from the convention. Something tells me that this year’s #Chabad #kinus will be epic. Off to the airport and totally psyched!! On table G21 btw – Have Tequila. The main reason 4000 Chabad Shluchim fly to New York for the #kinus is to have one Friday a year when they dont need to prepare a sermon. 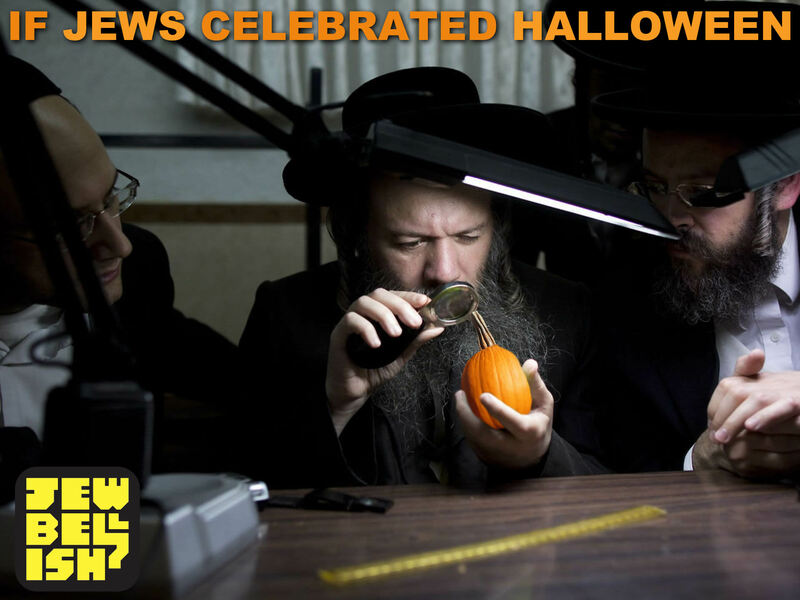 What if Jews celebrated Halloween? That was the question of a viral Jewbellish image. In that spirit our guest writer has put together a hypothetical code of Jewish law for Halloween. Add your own laws in the comments below. 1) No trick or treating until sundown. This year not before 5:54PM in the NY area. Children may trick or treat earlier for Chinuch (educational purposes), but it’s preferable if they wait until the zman. 2) A scary costume is preferable, but b’dieved (2nd choice), one dressed as a princess or a Minion has fulfilled the obligation of dressing up. 3) One who turns off the lights and pretends to be away is called a sinner! 4) Shaving cream used for tricks does not require kosher supervision. 5) If Halloween falls out on Shabbat (like this year), trick or treating within the eruv (a string around the city allowing Jews to carry outdoors on Shabbat) is permissible. If there is no eruv, one still trick or treats, but the custom is to cut a hole in bottom of the plastic jack o’ lantern so the candy goes to waste. 6) To be considered a trick, one must damage property valued at at least one perutah (approx. 5 cents). A trick must also inconvenience the victim by at least 6.7 minutes. In case of emergency, there is a lenient position of 4.8 minutes one may be allowed to rely on. Consult your Halachik authority (your Rabbi). 7) The pumpkin should be placed on the top step, to the right of the door. It is preferable to use a real pumpkin as a jack o’ lantern. B’dieved (2nd choice), plastic is also acceptable. 10) When giving candy, one must give an amount at least the size of an olive (about five candy corns.) Some are of the opinion that it has to be at least the size of an egg (twelve candy corns.) This opinion is preferable. 11) When egging cars, one should be careful not to drop any eggs prior to throwing them. Remember, Ba’al Tashchis (the sin of wasting)! 12) Not Tznius (immodest) witch costumes, only at home with one’s husband. 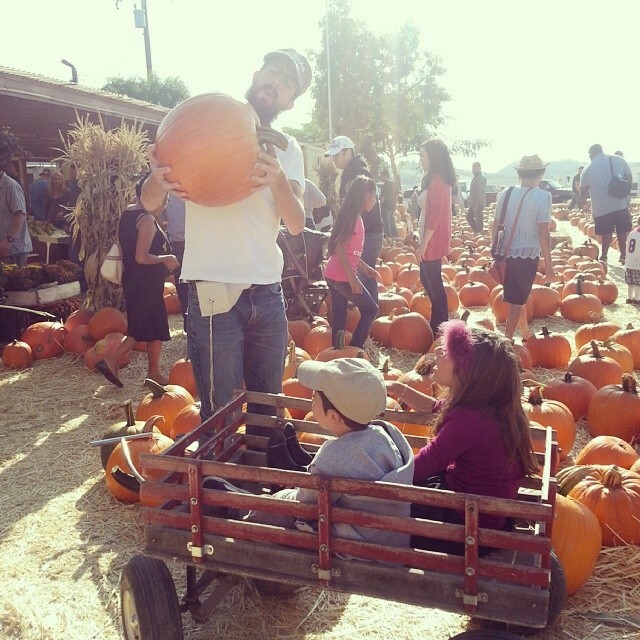 Jewbellish president, Mendy Pellin, examines a pumpkin with his children.